Welcome back to week 3 of the $100 Room Challenge where a group of bloggers makeover a room and they cannot spend more than $100 which isn’t easy to do. Just to remind you, this challenge was created and organized by Erin from Lemon’s, Lavender, and Laundry. Let’s look at the room before the makeover. I really made a lot of progress this week but I can’t show the completed projects to you yet because it will give away the reveal. I completed painting my cabinets. I purchased all the supplies to paint the floors. 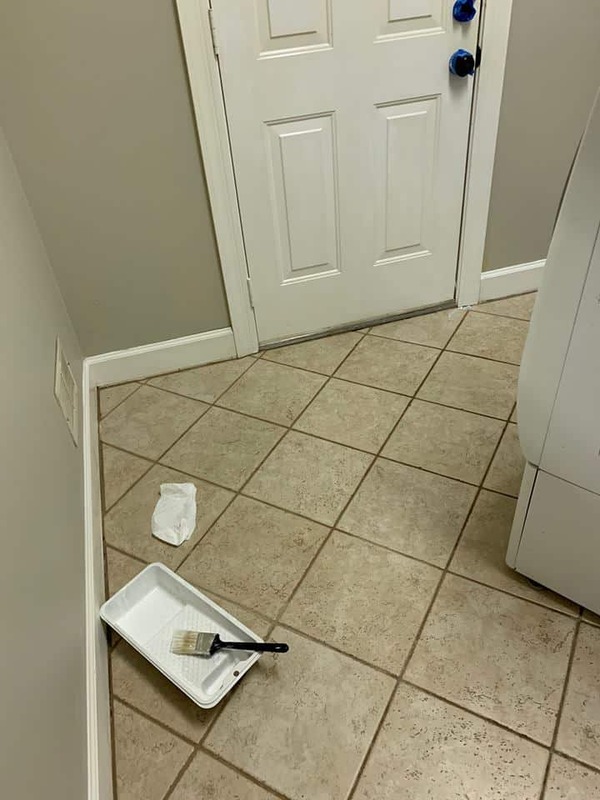 I repainted the baseboards and the doors because they needed to be brightened up now that the cabinets are white. I knew this wall needed help but I wanted to do something without spending any money. I have money in my budget but I wanted to show that you can use things that you have around the house. I also wanted this area to be functional. 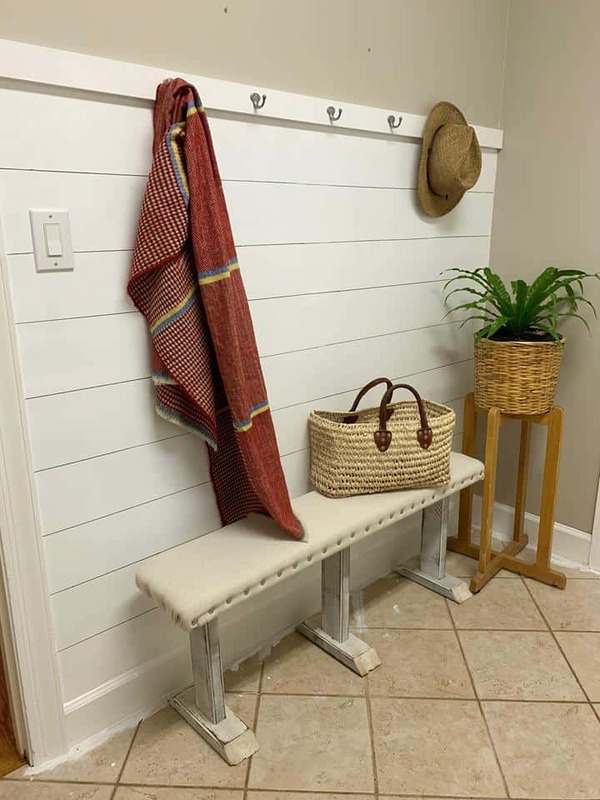 I first did a faux shiplap wall as I did in the fall challenge and I had the supplies left over. You can do this wall project for under $5. I will be painting the floors this week so I wasn’t worried about the floor. I found a board in our scrap that I cut and secured to the wall. 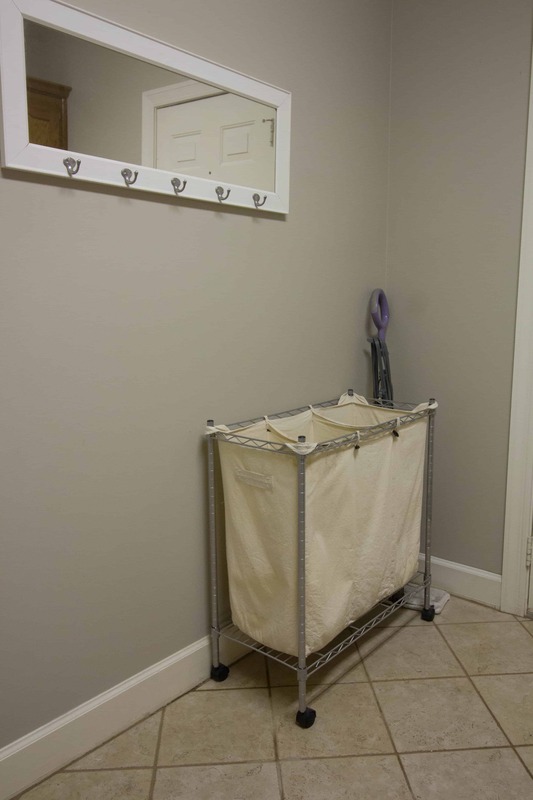 I had money in the budget to purchase hooks for the wall but I did not want this project to cost anything and I did not want to put on real clothes and go to the store. I removed the hooks from the mirror that you see in the “Before” picture. I repurposed the hooks by screwing them into the board. I think that it looks great! I am dragging stuff from around the house for decor and I am sure I will keep it up until I am happy with the look. This week, I will be searching for something to make some art for above the hooks. Prime and paint floors-$25 for floor paint and $20 for primer. I will show you more next week. Check out the other blogger’s progress! Wow this looks amazing!! Looks super high end. You did a great job! Wow, you’ve definitely are hustling! It always amazes me what you can do with just paint. 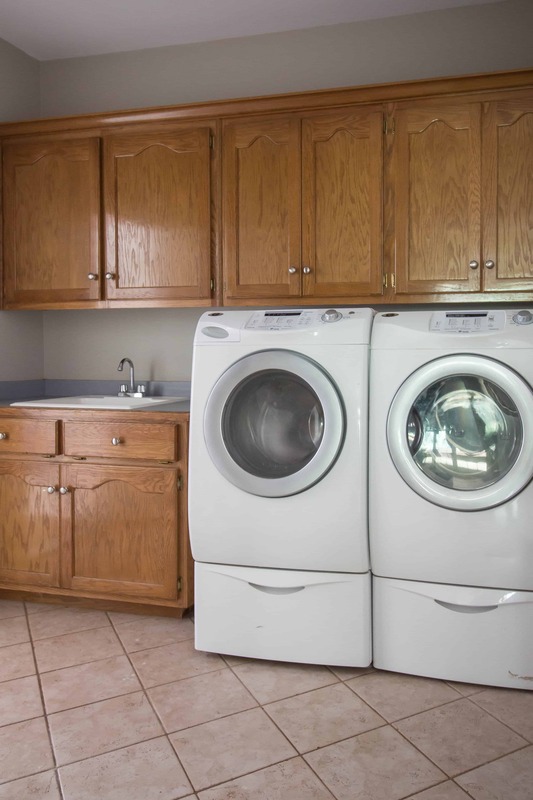 Looking forward to seeing those cabinets. When you said faux shiplap, I had no idea what you meant. I looked at your Fall post and feel totally mindblown! Sharpie?!! Amazing! Can’t wait for your reveal. I love how your faux shiplap turned out- I would have never guessed it wasn’t true shiplap! Can’t wait to see your painted floor! What a fun project! Sounds like a lot of painting- isn’t it a wonder? Great idea to reuse the hooks . this is a brilliant idea and I LOVE IT!! Can not wait to see your reveal! 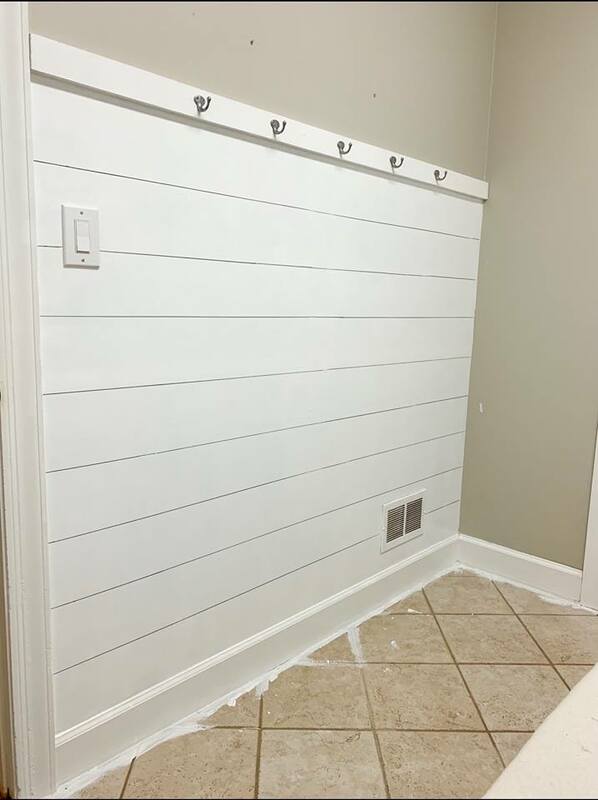 Your faux shiplap wall turned out so pretty. I’m dying to see what you did on the floor!